Imagine a situation in which you suffer from severe anterograde amnesia, a form of short term memory loss, and can’t recall information presented to you even 7 seconds before-- let alone being able to remember the one thing you went to Target to buy, but forgot. Such is the case of Clive Wearing, a man known for his lack of short term memory. His wife notes, “you ask him a question and he’ll give you an answer but while he’s giving me the answer, he’s already forgotten the question. That’s how short it is.” He himself notes “the brain has been totally inactive—day and night the same—no thoughts at all.” Though this is one of the most severe cases of amnesia observed, it underscores how crucial memory is not only to every day functioning, but also for one’s sense of self. Autobiographical memories and the ability to recall these emotional and important events are an integral component of one’s identity. These events, in turn, get tied into personal narratives that our personalities are built on. In the case of Mr. Wearing, he is stuck in this personality because of the damage to his hippocampus and closely related brain regions, an area of the brain necessary for transferring information from short term to long term memory. As a result, he reports that he feels like he is dead and is constantly waking up into a new reality. Realizing how significant memory is one thing, but the ability to recover or enhance memory is another. At our recent Neuroethics and Neuroscience in the News event, Dr. Inman, a postdoctoral fellow at Emory Department of Neurosurgery discussed “memory enhancement through brain recording and stimulation, and the implications of brain prosthetics for memory, identity, and autonomy.” In particular, his work focuses on patients with treatment-resistant epilepsy. These patients also often suffer from memory impairment and are often willing to participate in research while they are in the hospital to help localize the location where their seizures start. Dr. Inman conducts research by recording and stimulating through electrodes directly embedded of the brain. Brain stimulation has been used since as early as the 1900’s to treat intractable neurological diseases. 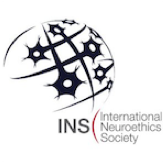 There are two general forms of brain stimulation: invasive (such as deep brain stimulation [DBS] and electrocorticography [ECoG]) and noninvasive (including transcranial direct current stimulation and transcranial magnetic stimulation). A 2012 study conducted by Suthana et al suggested that stimulation of the entorhinal cortex results in enhancement of spatial memory. However, a more recent study performed by Jacobs et al refuted this claim, and found that memory was in fact impaired when the entorhinal cortex was stimulated. The study done by Jacobs et al is part of a larger project by DARPA (Defense Advanced Research Projects Agency) entitled RAM (Restoring Active Memory), the goal of which is to create an implantable device, similar to a pacemaker for the brain, that can restore an individual’s memory post traumatic brain injury. 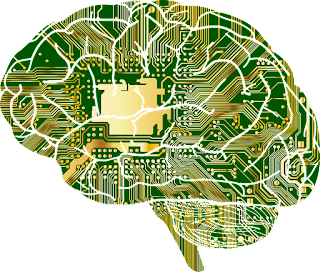 Seeing as human memory enhancement is the goal, it’s not unreasonable to consider the implications of these technologies in a general public of consumers already eager to experiment with a number of cognitive enhancers from pill and drinks to wearable technologies. 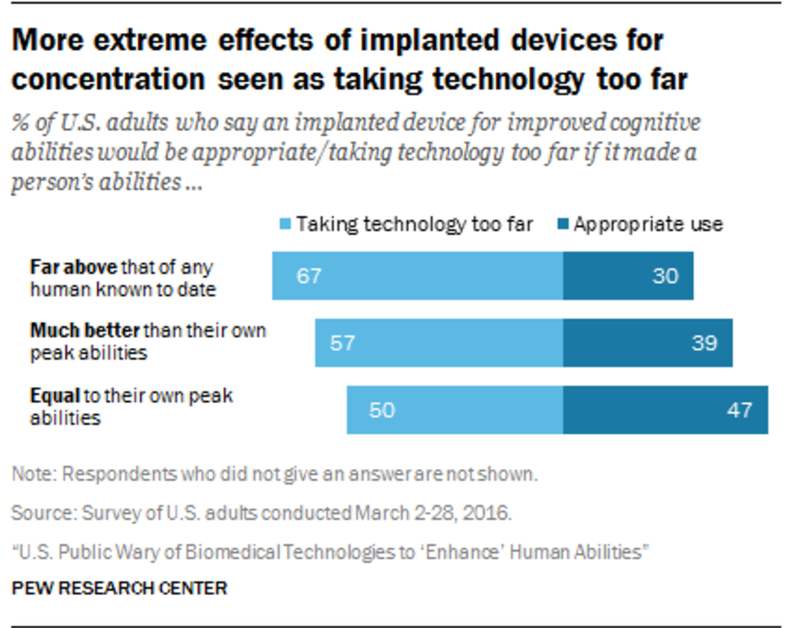 A recent study surveyed the “public opinion on the future use of brain implants” and revealed that as of March 2016, Americans were more accepting of an implanted device if its effects were temporary and controllable. Moreover, the study also found that Americans were especially reluctant to enhance cognitive function beyond natural abilities, as 67% said that an implanted device for improved cognition and concentration would be taking technology too far. Dr. Inman indicates that scientists are still trying to figure out what’s happening in the brain during memory creation and which paradigms of stimulation result in which clinically-meaningful enhancement effects, as well as, any potential side effects. Furthermore, Inman states that in his current work stimulating brain regions involved in emotional memory enhancement, they have been able to enhance memory for basic objects by stimulating during learning one day and showing better memory of the previously stimulated objects the next day. Studies like this suggest that there is promise in the field, but there are still many studies to be done and to fully understand before we can apply these kinds of techniques as therapies for memory disorders. Dr. Inman remarks that how the media describes new technologies is important for how the public understands these technologies and, consequently, how the consumer market responds. 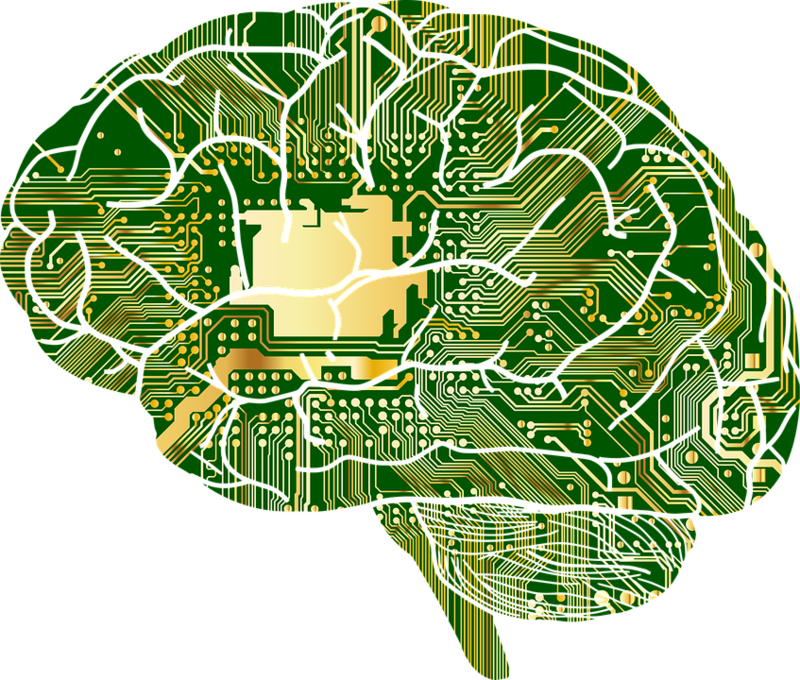 That brings the question then, to where the field of memory enhancement and brain-computer-interfaces (BCI) are headed? Whether it’s some Harry Potter “pensieve”-like thing where we can directly enable others to visualize our memories or whether its controlling a robot with a brain cap scenario, we are certainly going to come across ethical issues of “to enhance” or “not to enhance,” with strong arguments for both. What I mean by ethical issues is more than just if cognitive enhancement is worth the potential risks, but rather, I want to consider questions such as: (1) if we have the ability to enhance, should we enhance, (2) through the use of cognitive therapy, would we be “altering an individual” and “eroding their character,” (3) an individual’s physical safety (4) efficacy; (5) non-physical harms such as threats to autonomy and authenticity, (6) what is the difference between implicit coercion and responsibility in the case of enhancement, (7) would quality of life would be better post enhancement? Could it be that history may repeat itself with BCI in a similar manner as with cognitive enhancement? I predict we will continue to encounter similar conflicts as we come across with currently available therapies, whether it be do-it-yourself tDCS or non-prescribed (and theoretically illegally used) Adderall or Ritalin. As was the issue with nootropics and cognitive enhancement, we will most likely come across familiar therapy versus enhancement blurred lines debate with memory enhancement. Several points of view exist in this debate, take, for example, the beliefs of physicians who prescribe these enhancements/ therapies for the general public. As an aspiring physician myself, I’m not sure where I stand. One professional mandate of medicine is “do no harm.” Maurice Bernstein, MD, says that in transforming physicians from healers to enhancers has the potential to “degrade” this standard. Furthermore, Howard Brody, MD, PhD, a family practice physician and bioethicist, agrees with this sentiment, adding that “one of a physician's ethical duties is to avoid disproportionate risks of harm that are not balanced by the prospect of compensating medical benefits." On the other hand, these opinions can be directly contrasted with the wants and views of the general public. A proponent of enhancement and author of Liberation Biology: The Scientific and Moral Case for the Biotech Revolution, Ronald Bailey, argues that disease is a state of dis-ease. He further states, “if patients are unsatisfied with some aspect of their lives and doctors can help them with very few risks, then why shouldn't they do so?" Of particular interest to the military are concerns for veterans with traumatic brain injury (TBI). This debate is uniquely complicated as veterans who are exposed to high personal and emotional risk during their active duty careers. Are we (as recipients of their protection and sacrifices) not responsible for returning them back to their set point or enhancing their capabilities to that beyond the typically accepted ‘norm’ to ensure greater safety to our civilians and warfighters alike? Many veterans who have seen unimaginably gruesome events and themselves sustained moral injuries. Moreover, if they do receive some type of brain chip or alternate implant, can we allow them to keep these implants after their service? If a brain chip was implanted for warfighters in the line of duty have they earned it or is it even rightful for them to have one? Not only that, but also consider, if this is a physical implant, then it is a part of you* or is it considered to be military property? When asked if he himself would get a brain chip, Dr. Inman replied “No—I don’t need to have brain surgery and I work just fine without it… I believe we are developing this for therapy not enhancement of a normal, healthy function.” Clearly, there are those who feel otherwise, but the answer for most probably isn’t so black-or-white. Where do you stand?